Daring to Love is a sobering, no holds bar journey about confronting the insecurities and fears that hold sway over intimacy. Freeing oneself from emotional baggage sometimes means unmasking from layers upon layers of protective armor aganst pain gathered through life’s journey. 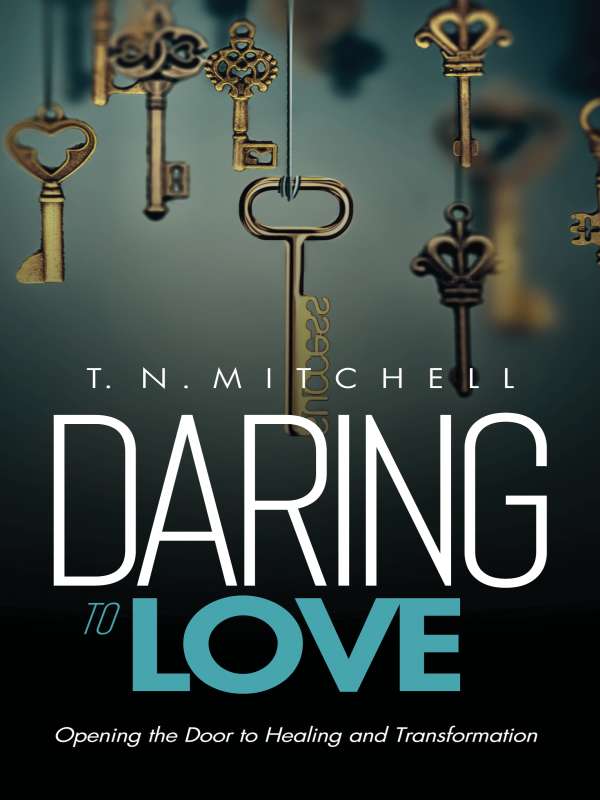 In Daring to Love, T. N. Mitchell shares how she conquered her fears, faced her past head-on and dared to fight for the love she deserved. In this honest, soul bearing, stark and heart-breaking memoir, T.N. Mitchell gets us to a point that yes, love is giving someone the power to destroy you yet trusting that they won’t, and if they do, how to stay centered in the pain rather that use it to self-destruct. In Daring to Love you will learn how to love from a position of strength rather than from a position of weakness. Before I could even process what was happening, my husband returned to the room like a lion about to sink his teeth into the neck of the slowest gazelle in the pack, me. I was caught and had been found guilty as charged and he would become the jury and the judge. As he held the cold hard steel gun to the side of my temple, demanding to know the truth, I feared for my life. I did what most of us do in a crisis, I begged God to please help me. This time I had crossed the line with the wrong man. All his love turned to rage. The bible tells us in Proverbs 6:34-35 “For jealously makes a husband furious: he will show no compassion when he takes revenge. He will accept no compensation. He will not be appeased, no matter how large you make the gift.” All of my husband’s love had turned to rage. I knew if God didn’t intervene at that moment it would be the end of my life. I had been beaten up, choked and similar to a scene out of a horror movie, tied to a tree and left before for cheating but this time it was almost surreal. Please God help me, please God, please God. These were the only words I could and needed to murmur. As I closed my eyes I could feel my body trembling in terror. I was too afraid to look into my husband’s eyes again. Suddenly, I could see flashes of my mother holding a similar looking gun to her head. I was only seventeen when I witnessed her ready to end it all over an affair too. I could hear God clearly as He told me I wasn't being the daughter He created me to be. 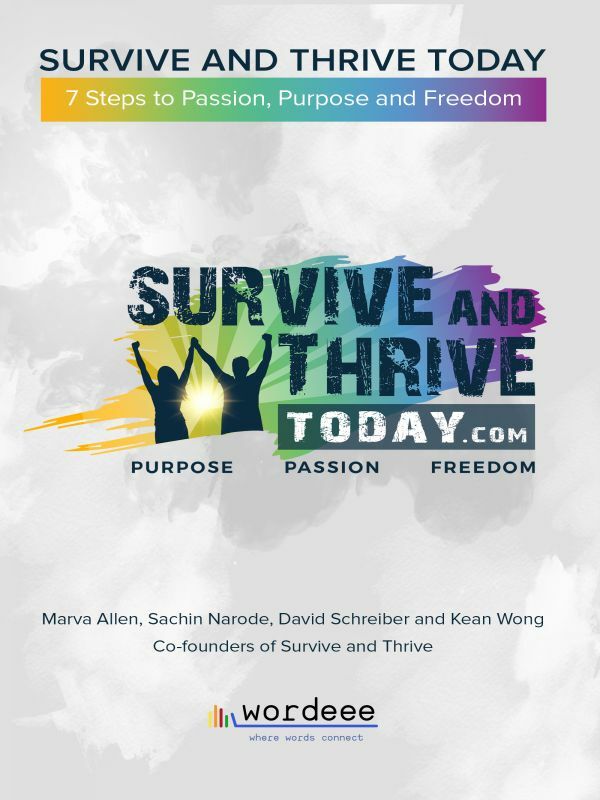 His instruction followed “stop running from love.” I I had never realized before that moment that I was running from the very thing God wanted me to experience: “True Love.” I knew I had acquired a lot of pain points in my life which started in my childhood but I honestly thought surely thirty-year-old pain was gone. No, it wasn’t gone it had only been covered under the many veils that Seymie made for us. Now this pain was ready to show its face in the form of betrayal, resentment, jealously and anger. Though we come into the world naked, the first thing we experience is a sharp slap to make us cry. Our first trauma. The garment we are swathed in, most likely a blanket meant to keep us warm from the cold, sterile delivery room, began the cover-up. Most of us are taught to put on our veil at a young age and the root of our pain that lives inside of us supports a cover-up. Unfortunately, many times the very people we loved or who, with good intention loved us; our parents, grandparents, lovers, friends and even sometimes religion, promote veiling. As we grow, we learn to put on other garments through indoctrination and based on the environment in which we are raised. Good or bad as children, we live what we see; to feel supported and given the freedom to take risks or to don the cloak of secrets and lies. In my world I learned to don the cloak of secret and lies.